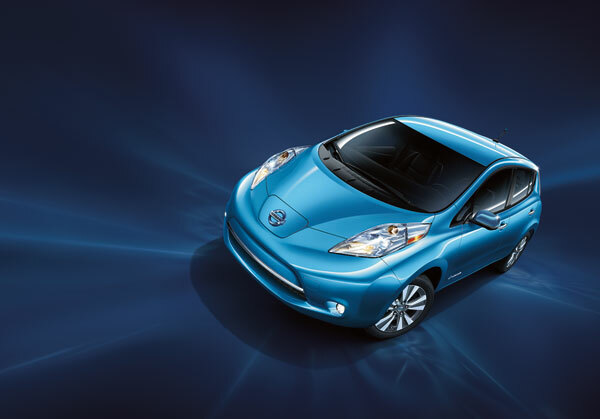 When the Nissan LEAF debuted back in 2010, it made headlines for being one of the first electric cars. It’s long since been recognized for its impressive sales numbers and for its sterling zero emissions reputation. Because of its position as a pioneer of green technologies, the Nissan LEAF has boasted other awesome features since its inception that haven’t received the attention they deserve… the Carwings feature, for example. 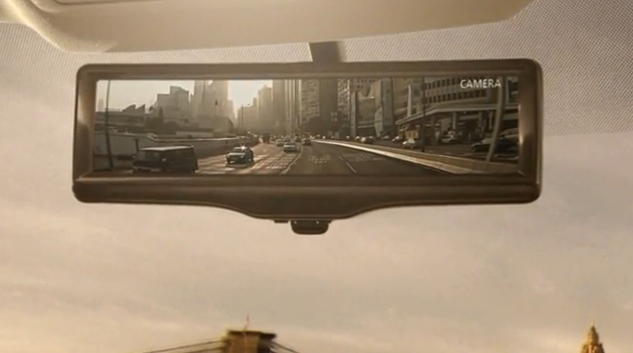 Carwings was introduced alongside the LEAF back in 2010 as a telematics system that recorded and displayed information on the display screen about the vehicle and its efficiency ratings as compared to other LEAF drivers. Now, the Carwings feature is stepping back into the spotlight that it deserves as Nissan has reported that it’s working on updates and improvements for the system, including smartphone integration. This research may allow future LEAF owners to remotely start charging their vehicle with the touch of their phone screen and have the ability to check its charge and find nearby charging stations. Stay updated here on the James Ceranti blog for more information about improvements to the Carwings feature and other Nissan news! Switching to an electric car will definitely save you money on gas; however, you still have to pay for the electricity required to charge your battery. 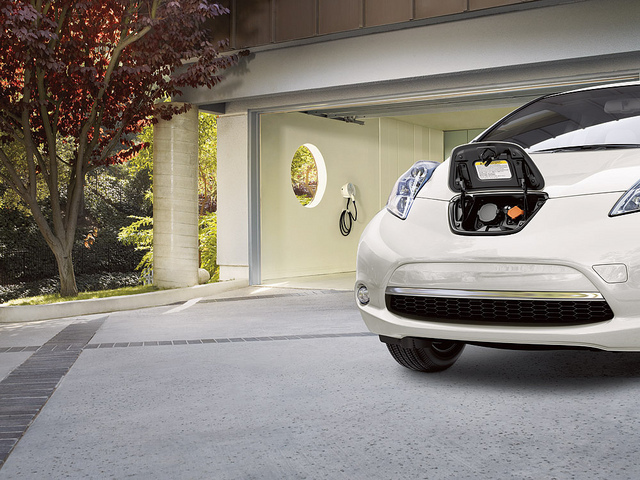 Now, Nissan is offering a new No Charge to Charge program, which will give LEAF drivers in select markets access to four major charging networks for free! 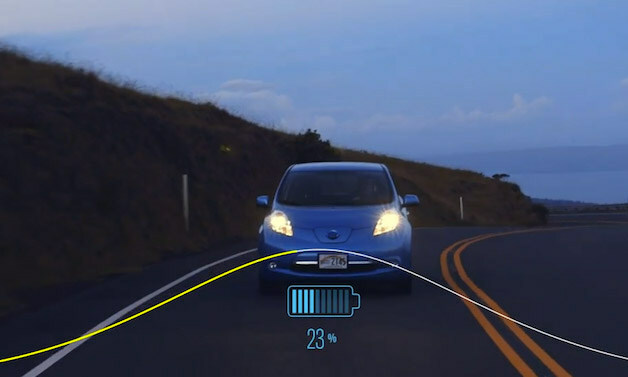 Nissan has partnered with ChargePoint, Blink, AeroVironment, and NRG eVgo for this program. New LEAF buyers will get a single EZ-Charge card that will let them access all four networks across the country. There is one small catch, however. Currently, the program is only available in select cities, such as San Francisco, Phoenix, Nashville, and Portland. But, the program is expected to expand and add at least 15 more cities by the end of the year. What do you think? Does access to free charging through the No Charge to Charge program make you feel more inclined to go electric? Here at James Ceranti Nissan we think this is an innovative and exciting program and hope to see it make its way across the country! Come see us ASAP at James Ceranti Nissan and take advantage of Nissan’s Easy Choice Sales Event, going on now. Don’t waste time thinking about it though because this national incentive ends October 31st on Halloween! Missing an opportunity like this would be scarier than the scariest haunted house or horror movie. There’s no better time to finally buy that new Nissan you’ve been eyeing. We have 0.0% APR financing available for up to 36 months for well-qualified buyers on select models. We have special low lease payment offers. We have available total savings of up to $7,350.00 on certain models and special pricing on all new Nissans in stock! We have huge savings incentives including equipment allowances, customer bonus cash, NMAC discounts, and more. The Nissan Easy Choice Sales Event is here to make choosing your next car as simple as pumpkin pie. Come in and test drive a new Nissan, and we’re sure you won’t be able to resist the savings! Treat yourself to a new Nissan before October and the Easy Choice Sales Event run are over. Celebrate October, celebrate Halloween, celebrate yourself. Come get your Nissan at James Ceranti Nissan today! When it comes to buying a new car, many people look at aspects like fuel economy, technology, comfort and or course the price. 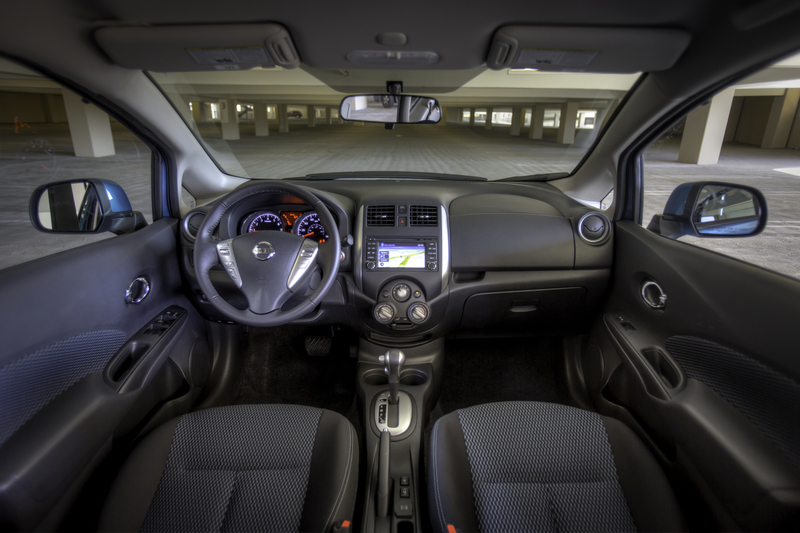 It may sounds like a dream come true, but the 2014 Nissan Versa Note excels in all of these areas, offering the latest technology and high comfort for passengers. Not only does the vehicle deliver the most competitive pricing, but it also provides best in-class fuel economy and the highest in-class interior volume. 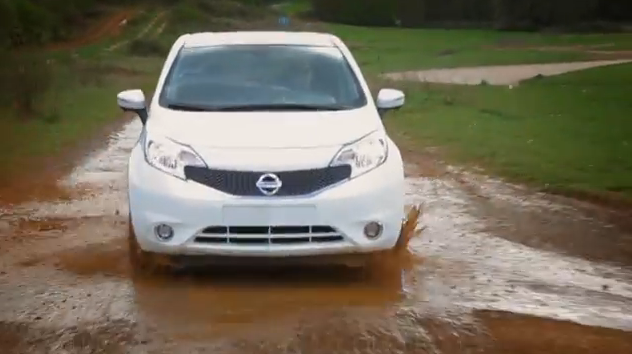 The Versa Note will be offered in several different trim levels. The basic level, the Note S, included a 1.6-liter engine and 15-inch steel wheels. The Note S Plus adds the CVT, grille shutters and cruise control. The SV comes with Bluetooth, remote keyless entry, and a leather-wrapped steering wheel. The SV is also available with an SL or SL Tech package, each of which offer technology upgrades, like a pushbutton start and navigation touch-screen display. 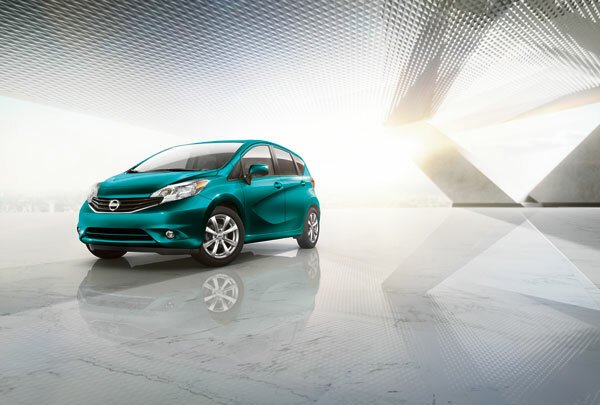 The 2014 Nissan Versa Note will be available on our lot soon! Will you be coming to test drive one? It’s not easy being green, or is it? For Nissan, a lot of hard work has led up to this point, but the mindset behind the company is easy to understand: reduce our impact on the environment. Nissan was ranked fifth overall out of 50 brands that were selected, based on environmental practices and customers’ perceptions. The Motor Company also moved up 16 positions from last year, making it the “top riser” on this year’s Interbrand report. Automotive brands took 4 of the top 5 spots this year. This is only Nissan’s second time in the top 10 on Interbrand’s list. Nissan has been noted for its leadership in the field of zero emissions mobility, starring the Nissan Leaf electric vehicle. The Leaf helped create a new positive perception of the auto brand and sparked interest in eco-friendly vehicles. Nissan continues this research through a partnership with Daimler and Ford for the development of fuel-cell cars by the year 2017. With over 65,000 Leafs sold as of May 2013, it can be named as that best-selling EV in history. For more information about Nissan’s commitment to protect the environment and go green, visit the Nissan Global website. Ever wonder exactly how full-size clay models are made for car companies? 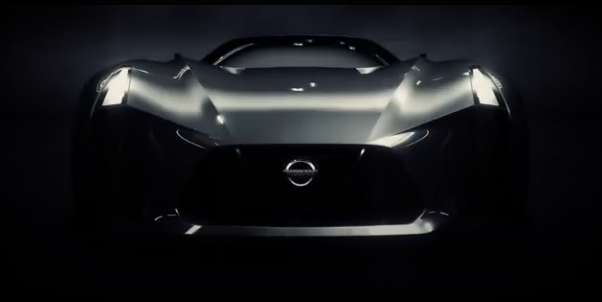 We came across this great video from the Nissan Technical Center in Japan for a look at what exactly the process entails. From the designer’s sketches to a full model, the process can take years. Side-by-side with digital models, the clay models are created by hand, one small piece at a time. Clay is kept in a warming over to keep it soft and the designers work fast before it can harden. The process of scraping away excess, applying plastic overcoats and perfecting the shape can take hundreds of hours for each designer. Unfortunately after the product is finished, they often get smashed or burned to save space. Sadly, these projects only life short lives and are soon after dismantled. The designers prefer not to watch this process, and we can understand why! We encourage you to watch this video to better understand the true art of car clay modeling. Check out our inventory page for the latest Nissan cars.